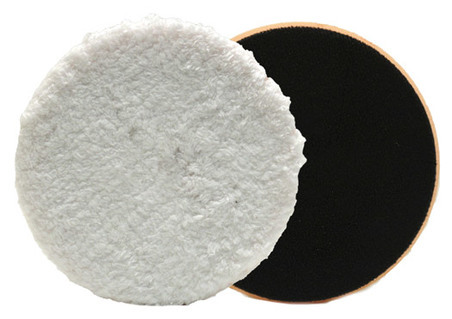 The One-Step Microfibre Pad offers superb cutting and finishing performance in a single pad! They are perfect for detailers that need a pad for any sitution. Featuring a long, plush pile, the Lake Country One-Step Microfiber Pads are perfect for polishing on hard paint, being used as a one-step polishing pad, or for a light cutting application. Microfibre pads are constructed of thousands of strands of microfibre and these fibres have brilliant cutting capabilities because they’re actually an abrasive. 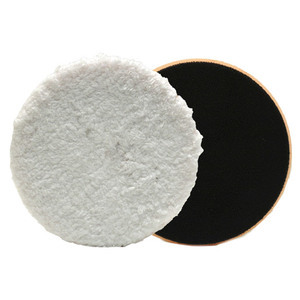 Lake Country Microfibre Cutting Pads use microfibre loops that are more plush and more dense compared to other microfiber pads, which ensures that they will quickly and easily remove heavy swirl marks, sanding scratches, water spots and oxidation. Lake Country One-Step Microfiber Pads bridge the gap between cutting and finishing – allowing you to complete your 3 step microfibre system or add a superior all-in-one microfibre polishing pad. Lake Country Microfibre Cutting Pads also use state-of-the-art adhesive technology to ensure the pads do not delaminate, even after countless uses. These pads feature two different adhesives, both of which are specifically designed for the material that they’re attached to. This ensures that Lake Country Microfibre Pads are more durable than conventional microfibre pads They are also machine washable!